Well put. Artificial priority is a lethal, lamentable basis for road-user relationships. It encourages neglect and intolerance – “Get out of my way!” – whereas on roads designed for equality, it’s “After you”. In view of all we’ve written and recorded, and all the lobbying and briefing I’ve done, including Robert Goodwill, the current Roads Minister, it’s barely credible that the misconceived traffic system continues to hold sway and be supported by the law of the land. Thanks Martin. So much of the language of traffic management is hostile and I think it indicates how people perceive cars, bikes and trucks ‘violating’ their space. They’re the enemy and need punishing – so concrete and conflict is the favoured route. The irony is that it achieves the opposite. Well said, Mark. Coventry city council have implemented a number of shared-space junctions over the last few months which seem to have worked well, after initial controversy seemingly based around the inability of some drivers and pedestrians to understand how they work. I don’t know what the stats look like but they might be worth an FOI request to see how they compare. Mark, it’s hard to understand the idiocy behind the way road authorities here deal with the mixture of people and vehicles. As you drive through France, for example, there is a clear, consistent, logical approach to each town and village, which ensures more observance of speed limits and less conflict between road users. For me though the more beguiling and more intractable question is why people’s behaviour changes when they go from being a pedestrian or cyclist to being the pilot of 1800kg of motorised steel and plastic capable of climbing mountains and fording rivers. They seem to regard people on foot as targets and make little or no concession to some of them perhaps being a little unsteady, hard of hearing or not paying attention. Somehow or other what would be considered polite and sociable behaviour on foot (no, after you madam) becomes a war zone when you’ve got 200 bhp at your command. 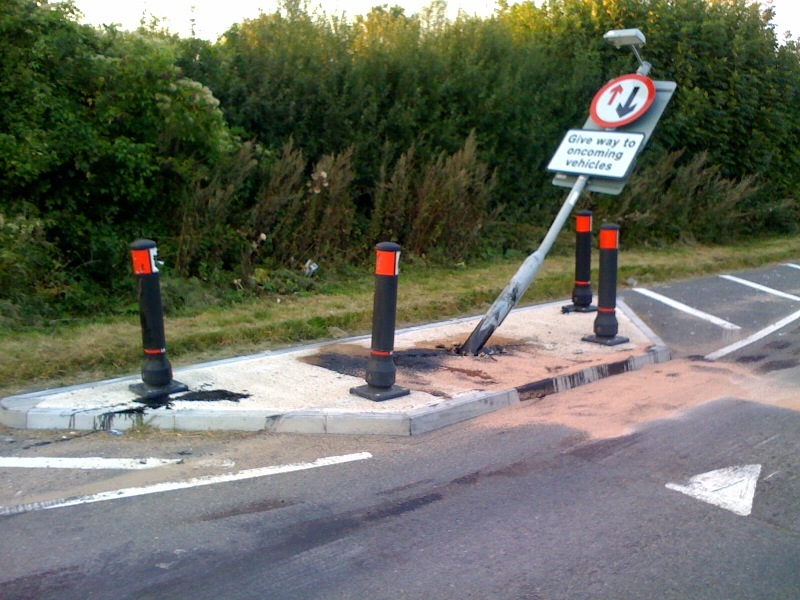 I don’t have an answer to that but any scheme that reduces the conflict is good – such as the current approach to Oxford station, or the centre of Cirencester, And the perception that the police only care about speeding does nothing to restrain the excesses of some drivers who are simply not safe behind the wheel for other reasons. My final point would be that, as a local pedestrian on the single track roads around this area, the passage of any vehicle within 10cm of me at a speed that would kill me if the driver made even a tiny error, it is a very intimidating experience, even when you are on a segregated footpath. 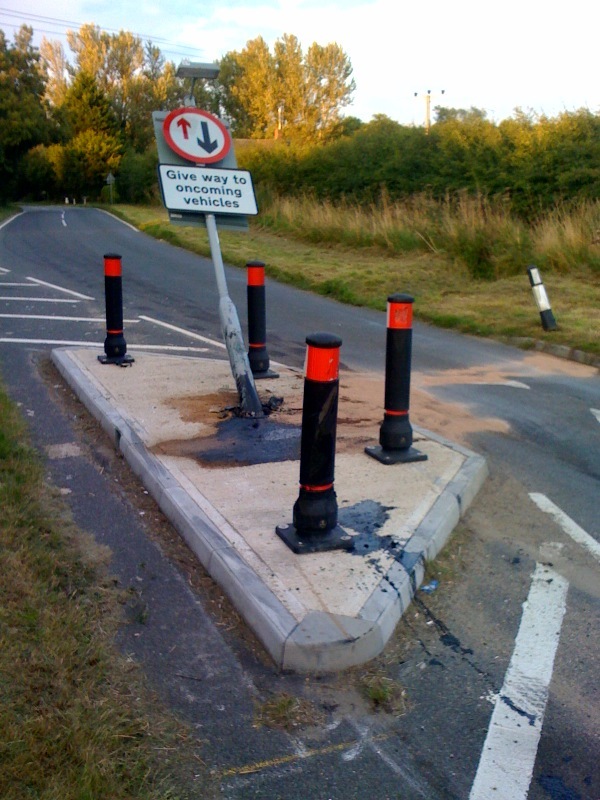 Suggestions to the drivers that they might consider slowing down is met with aggression and abusive gestures.That is why people complain about it – certainly in Aston, almost every vehicle entering from Cote triggers the speed limit sign and every one leaving it is probably 20 mph over the limit as they pass the village hall. Walking along that footpath is pretty scary.